With school out and kids spending more and more time online, keep them safe. June is Internet Safety Month. 1. Your information is private. Parents should make sure their kids are not sharing personal information on social networking sites that might endanger them or family members and friends. The same goes for online games and other applications. 2. Take a few minutes to monitor. The best approach is for parents to monitor what their kids are doing online, Verizon security expert Baker suggests, and don’t just assume they’re doing all the right things. 3. Free downloads aren’t always free or safe. A recent study by Verizon security partner McAfee indicates that online media is one of the biggest moneymakers for cybercriminals. With demand for online music, movies, television and more at an all-time high, it is an attractive venue for crooks. The McAfee study counsels against searching for free content because of the potential risk associated with some sites carrying such content. For example, the study found that using the word “free” when searching for ringtones resulted in a threefold increase in the risk of visiting sites returned by major search engines in English. Besides the fact that downloading free music or movies from suspect sites may be illegal, it could also lead to viruses and other malware being downloaded to a family computer. 4. Find great resources. While June is Internet Safety Month, there are great resources available year-round. The Verizon Parental Controls Center features links to many free resources for parents, educators and kids to help families manage the digital experience that is right for them. In addition to free controls for computers and other devices, the Verizon Parental Controls Center provides insight on such topical issues as cyberbullying, online gaming and managing online privacy. The site also links to public service sites such asWiredSafety.org and Webwisekids.org and educational resources from Verizon Foundation’s Thinkfinity.org website. Verizon is also engaged in the STOP. THINK. CONNECT. campaign, the national effort by government and industry, led by the National Cyber Security Alliance (NCSA) and the Anti-Phishing Working Group, to educate people about how to stay safe and secure online. In addition to the campaign, the NCSA offers a host of resources, tips and information for parents and educators. 5. Have a clearly defined set of rules. Kids have just spent the better part of the year following the rules at school, so a few house rulesduring the summer shouldn’t be onerous. 6. Talk to your children about how they use technology. It’s easy to get caught up in our busy lives and neglect the opportunity to ask children about what they do online or to discuss such topics as inappropriate content and cyberbullying. 7. Install Internet filters. Whether they’re looking for it or stumble upon it while browsing, kids can be exposed to inappropriate online content; so make sure you have the latest net filters installed and activated. Schools have them, and they can helpful in the home. 8. Make sure your online security tools are up to date. You need online security tools to protect your family from accidentallydownloading viruses, worms and other online threats. You should also determine how comprehensive your protection is. Will it protect from phishing and spyware? Does it include security for your home Wi-Fi network or a customizable firewall? 9. Keep your files safe with online backup. When all else fails, backing up important files — photos and movies, music, documents, etc. – will help minimize the impact of a cyberattack or computer failure. 10. Give kids alternatives. Encourage your children to participate in worthwhile traditional activities such as sports, dance, camp or extracurricular classes. Some children will do better with structured activities and others may prefer to be self-directed, but you should help your children find something that keeps them from sitting in front of a computer all day. 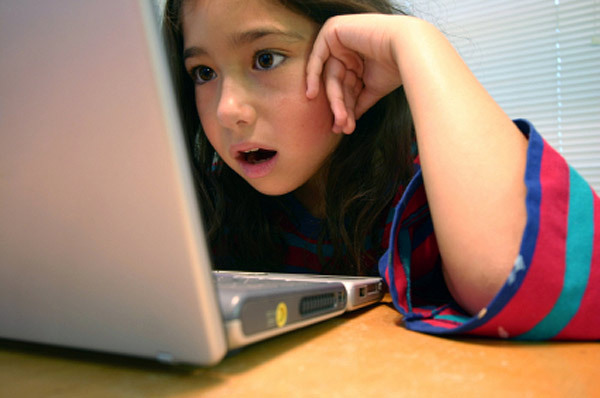 How Much Time Do Your Kids Spend Online During the Summer? Co-Parenting – Not Me. Not He. But We. Thank you for the great information! I have young boys and I’m so concerned about keeping them safe online. I just discovered a new online filter resource for webtext and emails called mousemail. It is free and looks good. Have you heard of it or are there any others you suggest? I’m new at all of this so I need something really easy.